These yogurt smoothies crack me up. If I wanted a smoothie, which I seldom do, I'd get a smoothie. If I wanted yogurt, which I often do, I'd get some yogurt. 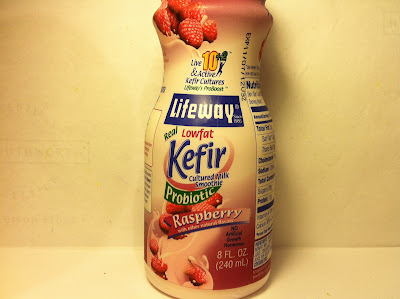 Rarely, if ever, do I want both but in case I do, these yogurt smoothies exist for my enjoyment and that leads me to another Lifeway product review with this review of the Lifeway Lowfat Kefir Probiotic Raspberry Yogurt Smoothie. I picked this one up at Kroger for $1.25 and it's eight ounces of fun with 140 calories and eleven grams of protein. As you can see hopefully, this one has a pink coloring, which should have been obvious since white yogurt mixed with red raspberries makes pink. Yes, I was a master of the color wheel in elementary school. Anyway, the rest of the yogurt has small little raspberry "hairies" spread throughout to add some texture. In terms of thickness, I'd put this somewhere between 2% milk and regular yogurt. It had a strong raspberry smell as well, so in physical appearance and aromatic appearance, Lifeway wins. It tasted a lot like raspberry too, so Lifeway wins all around here. The slight thickness of the yogurt did not prohibit its drinkability and being that this was a "smoothie," I would certainly not hope that was the case. The raspberry flavoring provided that typical raspberry tang, although if you chugged this, that tang might get a little strong if it hits you all at once. If you sip your way through this, the tang is fine though. One odd thing about the taste, although not off-putting, was that the yogurt itself had a slight aftertaste. The best way I can think of to describe that was that it was sour cream-like, which was bizarre. Again, it didn't ruin the smoothie, but instead just made it a little strange. The yogurt, of course, had a cooling taste but that was to be expected. Buy It or Fly By It? 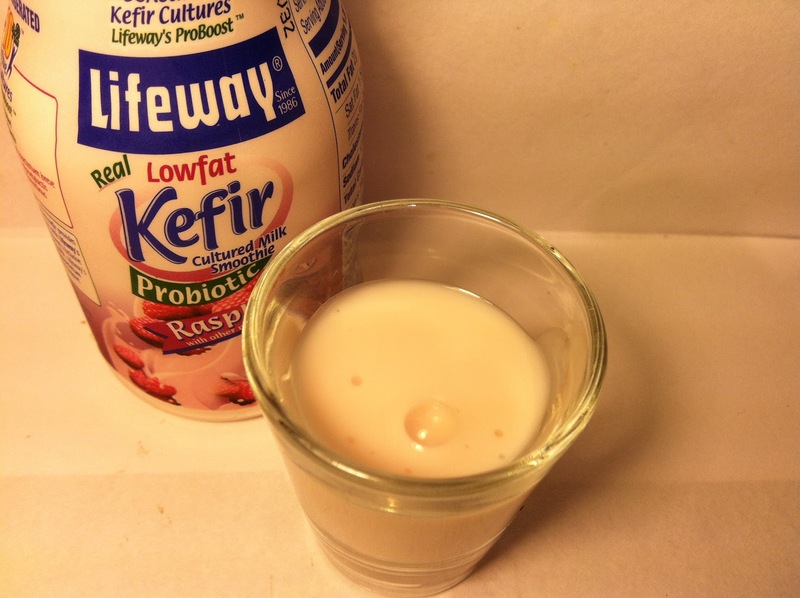 If you are ever craving yogurt and a smoothie at the same time, these Lifeway products are your answer. I don't think this one is as tasty as the blueberry flavor, but I'll still give it a BUY IT rating because you could certainly do worse. If you end up with this, you'll end up with a cooling and pleasing treat and for that, it's a winner in my book. If you can find them, the Chocolate Truffle and Cappuccino flavors are awesome. Interesting. One flavor that sounds delightful (Chocolate Truffle) and another that sounds just weird because I often don't see coffee flavored yogurts. Regardless, I'll have to keep an eye out for both! 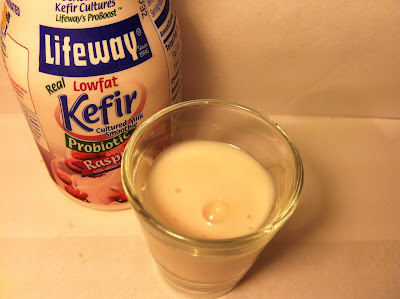 I read an article said that it's not good to take probiotics in liquid form because it kills the good bacteria.Is it true? I think they are wrong. What's the difference in liquid and in solid form? Sometime supplements stays longer than those in liquid form and if you checked the "expiration date" it can last for years right? Unfortunately I have no idea as I am not a scientist. If you are willing to do the research though, I'd love to see it!